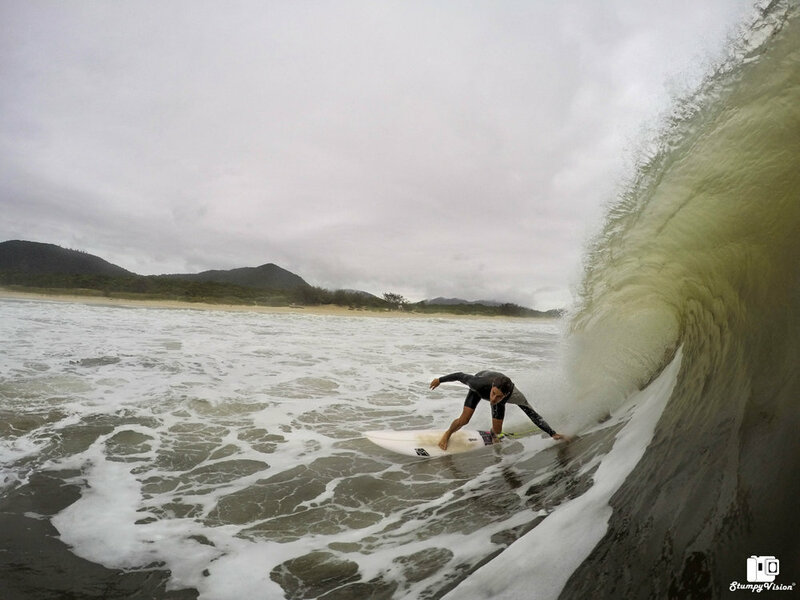 A beautiful wave and an even more beautiful backdrop in Florianópolis. Located just under 1000 kilometers from the vibrant city of Rio de Janeiro and 700 kilometers from sprawling Sau Paulo sits the famous island of Santa Catarina (Florianópolis or Floripa as the locals commonly call it), the crown jewel of Brazilian surf locations. Sitting 500 meters off the mainland (but connected by bridge) Floripa oh so proudly boasts some of the best waves in all of Brazil. The island measures 54 kilometers from the North to the South and 18 kilometers at it's widest point. This stunning island is in fact home to over 40 different surf beaches with notable names being the likes of Praia Mole, Campeche, Joaquina, Matadeiro and Mocambique not to mention a small number of slightly underground spots. This vast assortment of beach breaks here all work in different swell sizes and swell/wind directions meaning if there is any swell running on the Brazilian South Atlantic coastline you are almost guaranteed a decent wave somewhere on Floripa. From the unforgiving sand dredging barrels of Mocambique, to the reeling left hand point of Joaquina, to the fun wedgey peaks of Matadeiro and everything else in between there is definitely a wave to suit everyone's tastes in Floripa. Floripa is home to sand thumping beachies. Each beach is unique, extremely picturesque and is relatively untouched perfection. When you set foot on the beaches here you will be instantly greeted by golden white sands that lead into dramatic rocky cliff faces covered in lush green tropical jungle. Not surprisingly Floripa is home to some of the most beautiful beaches in Brazil along side the likes of Ilha Grande, Rio de Janeiro and Bahia. Happy shakas, aloha from Brazil ro should I say Oi? As you are most likely well aware, Brazilians rank highly as some of the most passionate surfers and people on the planet and Floripa is by no means any exception. This amazing island has a strong and thriving population of extremely passionate frothing surfers but fortunately due to the over abundance of quality waves in the region the crowd generally tends to be spread far and wide. However, on the rare days when the surf conditions are only suitable for one or two spots then prepare to be over run by a super intense crowd. You will still get waves here but respect must be shown to the locals. 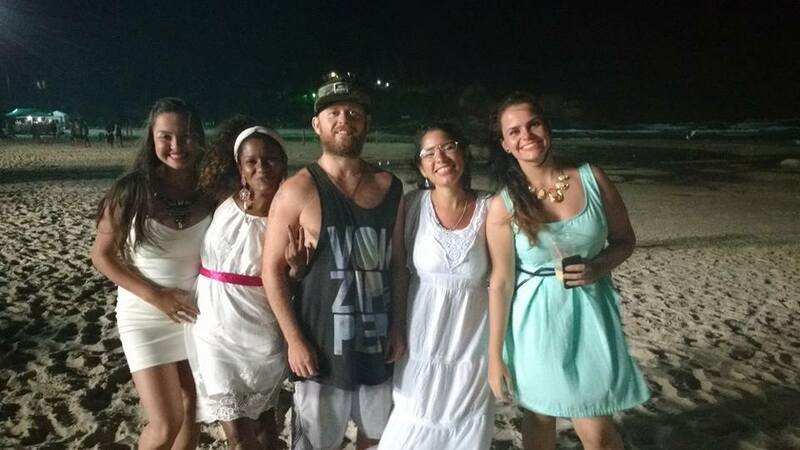 On a whole I found Brazilians to be of an extremely welcoming and friendly nature. They will go well out of their way to make you feel at home in their amazing country which they are so proud of (and not without due reason). I was fortunate to stay with a local and old friend Gustavo Guichard and his brother Gabriel. Gus put me up in his house, welcomed me into his family and happily showed me around the amazing island and the great waves housed there. A true legend to who I will be forever grateful. Gus setting up the pit. Gus on a tasty section. Floripa itself is a massive island over flowing with picture perfect beaches and immense naturally beauty (I may have mentioned that already?). There is no doubting that Floripa is among one of the most beautiful locations in the country. Here you will find yourself with absolutely no shortage of stunning beaches, lakes, mountains and forests to explore during your surfing down time. If partying is your thing then you have definitely come to the right place as the Northern end of Floripa boast some of the most famous and most exclusive night clubs in Brazil but be warned..... do not forget your credit card. A big night out here will put a solid dent in your bank account that's for sure. However, you will most likely quickly forget the monetary pain once you lay your eyes on the woman/men here as some of the most beautiful women/men in Brazil hail from the deep South. Here you will find a exotic mix of Latin, African, German, Italian and even Japanese bloodlines, a true melting pot if ever there was one. If the abundance of great waves is not enough to entice you here then maybe the jaw dropping, traffic stopping women will. NY in Floripa. Yeah it wasn't bad. There are direct flights to Floripa from Rio and Sao Paulo which should not set you back more than a couple of hundred dollars. I would definitely recommend flying there if possible as the distances in Brazil tend to be very vast especially if traveling by road. Florianópolis is quite possibly the safest place in Brazil (although typical safe travel precautions should be taken) with a very low crime rate as little crime has made its way to the shores of this beautiful island. The best time to visit Floripa for surf is from early March to late May, and late September. From early November the swells tend to be at their biggest and water is still relatively mild. With the water temps sitting at 16 degrees in winter a 4:3 steamer will be more than suffice while a spring suit or even board shorts will comfortably get you through the warmer months where the water can get up to balmy 24 degrees and the days can get very hot indeed. I would recommend staying at Lagoa da Conceição or Praia Mole where you will be in walking distance of a number of beaches and all the amenities and restaurants you would ever need. 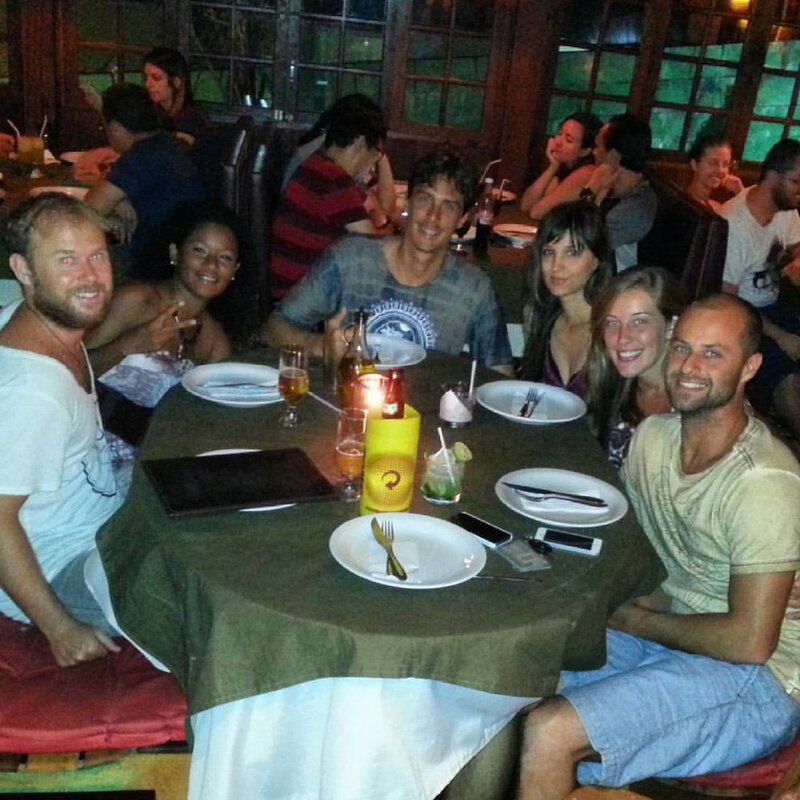 The area boasts a vast array of restaurants, bars, hotels and hostels. If you are coming with a group of friends then perhaps renting a house or an apartment would be a good option. If you truly want to explore the island and experience all of the waves on offer then getting your grubby hands on a hire car would be well worth it as not all beaches are accessible by public transport. This would give you more freedom to escape the crowds if need be. Be warned that the traffic during peak holiday season can be horrendous here as too can car break-ins. Floripa, Give Me One Good Reason Why Not? So if you are interested in going against the grain and wish to score some quality waves in an amazing country with an exciting, friendly and vibrant culture then a surf holiday to Florianópolis could quite well be what you are looking for. So what are you waiting for? Get those tickets booked, bags packed and you could soon find yourself mixing perfect barrels with Caipirinhas and Samba in a Brazilian island paradise. Gabriel pulling in on a slab. This is waiting for you.